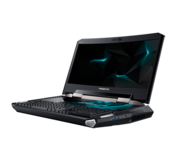 The curved 21-inch laptop has launched in Taiwan with GTX 1080 SLI graphics, a backlit mechanical keyboard, and Tobii eye-tracking cameras. 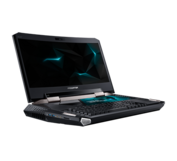 Acer first teased its objectively ridiculous 21-inch "laptop" at IFA 2016 and it was once again the center of attention at CES 2017. 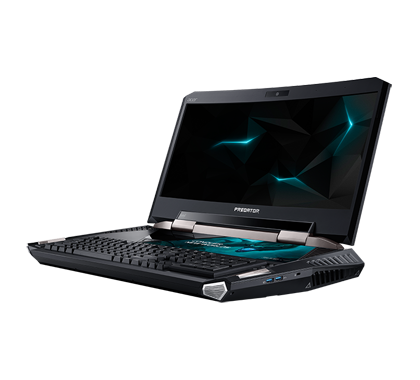 After months of grabbing headlines for its raw horsepower and unabashed size, the Predator 21 X is now finally available in Acer's home region for a hefty NT$299,000 or the equivalent of nearly $10000 USD. 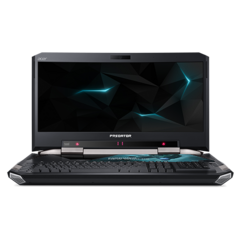 As widely reported across major tech sites, the Predator 21 X is notable for its curved 21-inch 21:9 WFHD (2560 x 1080) IPS 120 Hz display, GTX 1080 SLI graphics with G-Sync, up to 64 GB of DDR4 RAM, overclockable Core i7-7820HK CPU, quad speakers, Tobii eye-tracking cameras, 330 W AC adapter, and backlit Cherry MX Brown mechanical keys. 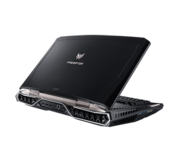 The final weight of the notebook will be approximately 18.74 pounds (~8.5 kg) with a thickness of 3.3 inches (~8.4 cm). 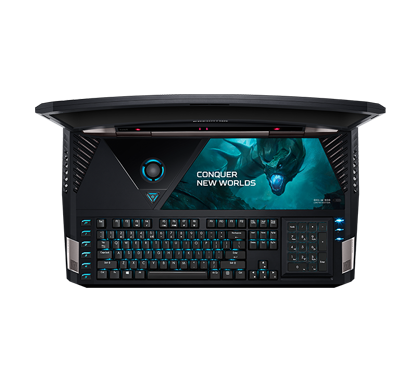 In comparison, the 18.4-inch MSI GT83VR Titan weighs "only" 12.13 pounds (5.5 kg) with a thickness of 2.7 inches (~6.9 cm). On paper, the specifications are amazing and a sight to behold. Nonetheless, we can already spot a few downsides. 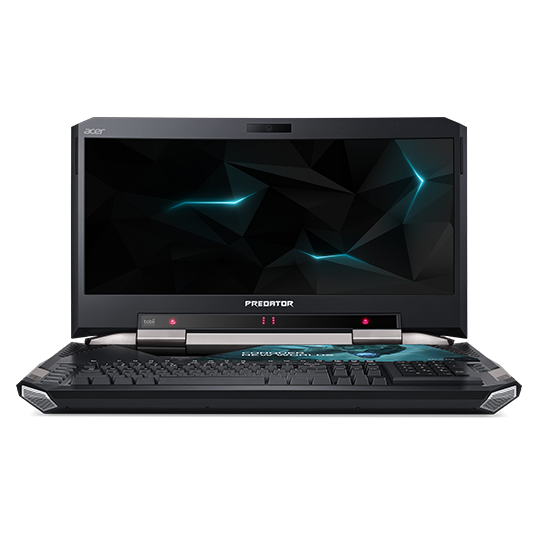 There appears to be no other resolution options beyond WFHD to really stress the GTX 1080 SLI GPUs and the CPU is still a 45 W mobile-class processor. 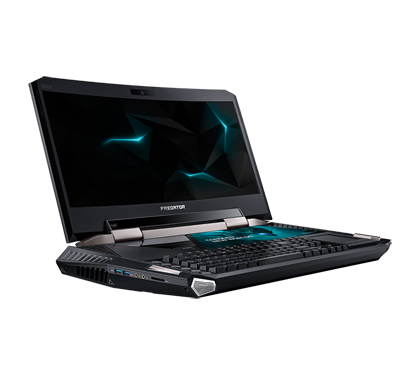 Certain Eurocom notebooks, for example, ship with native 4K displays and 91 W K-class CPUs. 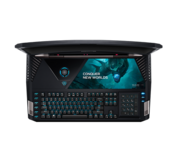 The Predator 21 X will ship with its own special waterproof luggage complete with handle and rolling wheels for easier transporting. A three-year warranty will come standard with each new purchase as well. 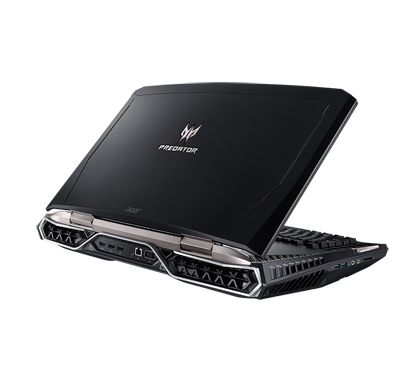 See Acer's official product page on the Predator 21 X for more information.